Spread a little Christmas cheer with the Temporary Emergency Services annual Ponsettia Sale! 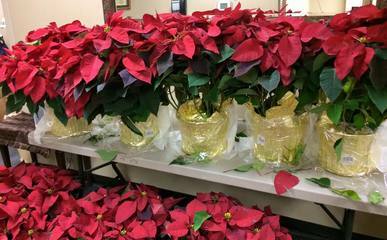 For just $30, a huge beautiful poinsettia will be delivered right to your home. Or, you may choose to donate it to a local hospital or retirement home, giving someone a special surprise. They also make great gifts! All funds benefit Temporary Emergency Services, a nonprofit community organization dedicated to continually helping individuals and families in need. Call (205) 758-5535 or email [email protected]. 1705 15th Street, Tuscaloosa, AL 35401 US.